Recently, the whole country of Egypt (according to news headlines) banned Ridley Scott’s new film, Exodus: Gods and Kings. Aside from the flagrant and frustrating use of a post-colon reminder that the story itself involves some sort of ‘vs.’ between ‘Gods’ and ‘Kings,’ the film itself looks like nothing more than another live-action retelling of a Biblical account. Definitely not something worth banning. In fact, when we watched it the other day, in a rather empty cinema here in Edinburgh, it served its purpose well, both as an entertaining and rather well-acted film that not only kept me busy for a few hours, but also gave me a reason to regale my viewing partner with my vast knowledge about the original story. It’s little victories like this, little boosts of the academic ego, that really make life worth living. So for me, the film was rather innocuous. A fun retelling by a director (who, in the world of Hollywood, seems to get both credit and blame for an undertaking that involves hundreds of people working side by side for years with the singular goal of producing a finished product) whose previous films I’ve enjoyed regardless of their critical successes/failures (for example, take a look at A Good Year; critically disliked, but I’d argue thoroughly enjoying). Yes, God is a snarky and bratty little English boy who seems frustrated to the point of tantrum. Yes, most (though not all) of the actors speak with some sort of English/Australian accent hybrid (it’s a sand and sandals film, after all). Yes, John Turturro (the Jesus himself) plays Seti I, father of Ramses II, pharaoh of Egypt. Even Sigourney Weaver shows up for a few minutes, playing Tuya, Ramses’ vindictive and angry mother, before vanishing somewhere into the tapestry of the glorious set-pieces. 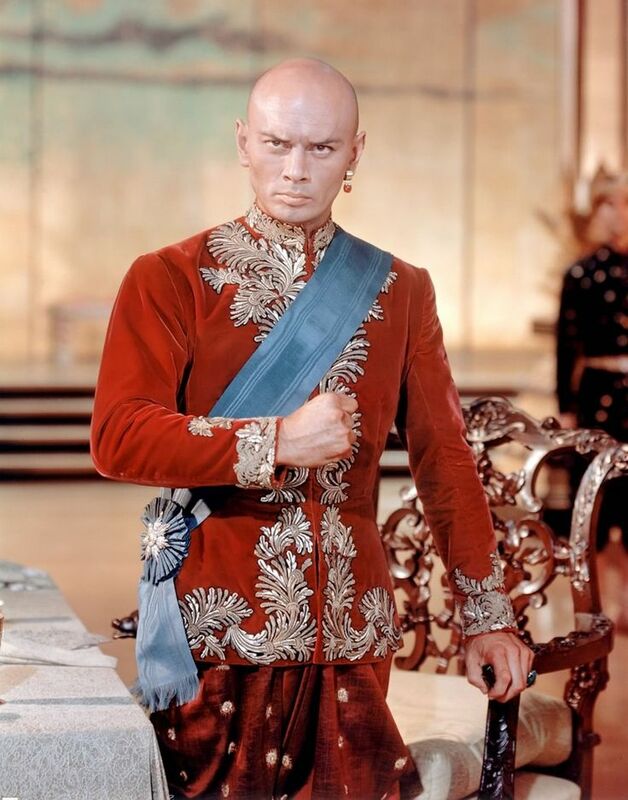 Yes, the majority of the actors are caucasian, as if to remind (as Ridley Scott sort of did) the viewers that for a blockbuster film to be successful, one needs blockbuster actors, who happen to be white (for example, look a Yul Brynner in The Ten Commandments, or The King and I, or Kings of the Sun, or just about anything else he was cast in). Yes, the plagues are rationalised by Ewen Bremner’s ‘Expert’ as the result of a natural phenomenon begun by hungry and destructive crocodiles; and the parting of the red sea occurs after what we might presume is a meteorite creating a tsunami, that then retracts the water far enough to allow the Israelites safe passage across. Is all of this reason enough to ban the film? Perhaps for some, but then again my perception of the events depicted within does not carry the same sort of meaning it does for others. My greatest curiosity, then, about this style of criticism has to do with why individuals seem to take blockbuster films such as this so seriously, as if Scott’s Exodus is somehow supplanting the one in the Bible. We heard a bit of this a while back with Darren Aronofsky’s Noah which, aside from depicting a hoard of fallen angels as giant rock creatures that assist Noah and his family in building the Ark, also did (what I think) is an incredible job of merging the Biblical account of creation with images of the grandeur of evolution. Yet, where I would draw the line between Noah and Exodus, aside from the artistic views of those involved in either, is the statement made by Russell Crowe’s Noah at the start of the above clip: “I’m going to tell you a story.” Aronosfky knows that the Noah story is nothing more than that, and admits it. Yet, he also likewise tells us that the evolutionary progress from big bang to homo sapiens is nothing more than a story as well. When we consider this alongside Scott’s Exodus, we might come to similar conclusions: these are stories, both film and Biblical myth in equal measure, so that when they are retold like this, when they part ways from the original, perhaps the anxiety or disappointment felt by certain individuals is the worry that an inaccurate or ‘creative’ retelling betrays the original’s fallibility. That is, if Ridley Scott can re-write the story so easily, then is the original nothing more than a template, a plastic and bendable thing able to be re-created, and thus void of what we might perceive as some sort of ‘sacred’ something? Again, I would say yes and no. After all, it all depends on the individuals involved and the discourse being used and/or amended. Case in point: when the critically disliked and epic-looking Troy came out a few years back, with its predominant white cast and highly adapted re-telling of the Trojan war (which ‘historically’ took place around the same time as the Exodus out of Egypt), the film wasn’t banned for its inaccuracies or insults to history. It was merely considered a bad adaptation of a myth.